Miami, 2015-6-10 — /Travel PR News/ — The International Air Transport Association (IATA) released details of a new mobile app for passengers to monitor their health and wellbeing before, during, and after a flight. Used in conjunction with a “Jawbone” fitness wristband, the SkyZen app enables air travelers to view their activity and sleep patterns throughout the whole flight experience. Helpful hints will enable users to improve their travel experience and combat jet lag when crossing time zones. “Recent advances in personal health monitoring give air travelers a great opportunity to track how they respond to the various stages of a trip. 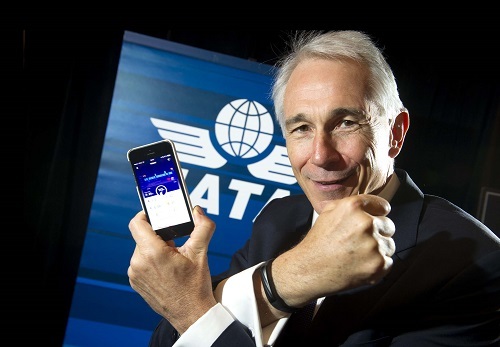 With its global perspective on the air transport industry, IATA is uniquely placed to develop a single app, which passengers can use across all flights, anywhere in the world. We are confident SkyZen delivers a completely new perspective on travel for passengers, with handy tips offering a fun and interactive way to improve the quality of their flying experience,” said Tom Windmuller, IATA Senior Vice President for Airport, Passenger, Cargo and Security. SkyZen is free to download and use from the Apple iTunes store, and works with the Jawbone health tracker. The Apple Watch and Fitbit version will be released shortly. Users of the app only need to enter their flight number, date and class of travel, and SkyZen will automatically collect and aggregate the data. Using the data collected, SkyZen will offer passengers personalized insights on their flight activity and strategies to minimize jet lag before and after flight. This entry was posted in Flights, Transportation, Travel, Travel Marketing, Travel Services, Travel Tech, Travelers and tagged air travelers, Apple Watch, Fitbit, IATA, SkyZen app, Tom Windmuller, “Jawbone” fitness wristband. Bookmark the permalink.